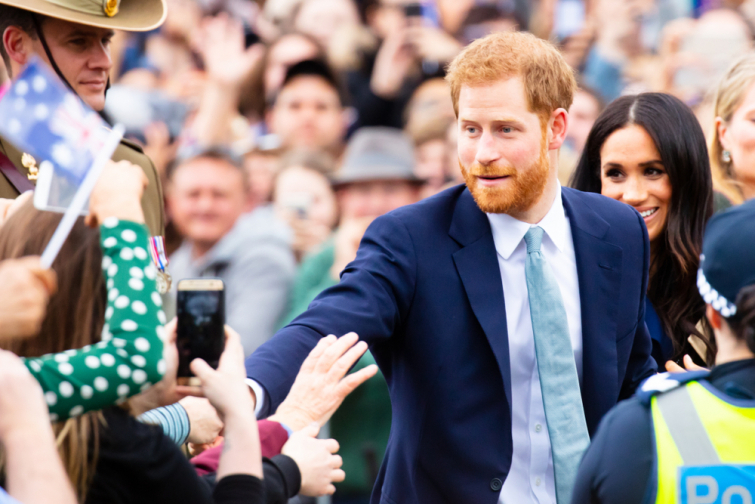 During the Royal tour through Australia and New-Zealand Prince Harry showed us his softer side. The Prince spoke to a 6-year-old boy who recently lost his mom and gave him some sweet advice. The boy, Otia Nante, was waving to the prince and his wife on the side of the street together with his grandma. The Prince came over to him to speak to the kid, who gave him a letter. The grandma told Harry that Otio lost his mother when he was 1-year-old. "He looks up to you because you also lost his mom," she said. Harry was touched by the story and decided to ask further and gave the best advice Otio could ever get. "Life will get better, and you know that right? I'm 34-years-old now, and life is fantastic." Pointing at Meghan, he continued: "I've got a beautiful wife, and we're expecting a baby. Your life will also turn out, so don't worry." The boy wanted to capture this particular moment, and Harry agreed. They posted the unique picture on Instagram.